Guruvaram March Okati is a super hit romantic melody from Superstar Mahesh Babu’s blockbuster action drama, Dookudu. Now, this song has reportedly become the title for Naga Shaurya’s soon to be launched movie. According to the latest reports, Naga Shaurya will soon be teaming up with senior character artiste Kasi Viswanath who will return to direction after a long time. 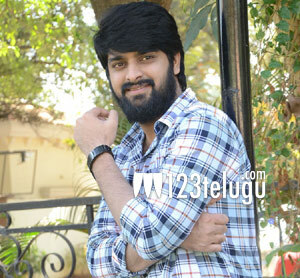 Tentatively titled Guruvaram March Okati, the film is expected to go on floors once Naga Shaurya wraps up his next two projects. In the past, Kasi Viswanath directed a couple of romantic dramas like Tarun’s Nuvvu Leka Nenu Lenu and Kalyanram’s debut film, Tholi Choopulone.